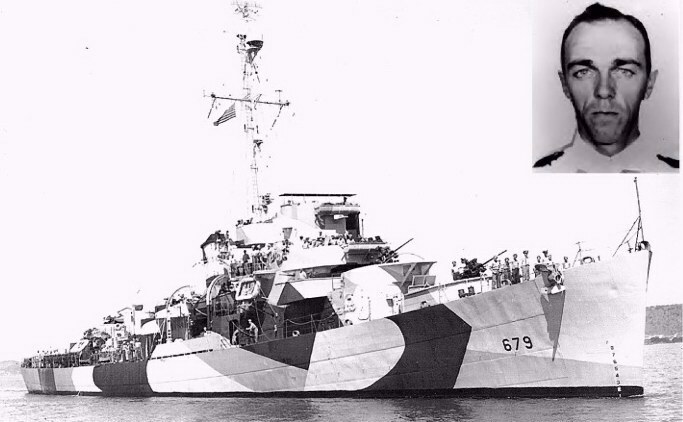 THIS PAGE IS DEDICATED TO LT. (jg) FRANK GREENWOOD, AND THE CREW WHO BROUGHT THIS FEISTY LITTLE TIN CAN TO LIFE! Follow the underlined link below to start your tour of duty, and enjoy! HONOR THEIR VALOR, EMULATE THE DEVOTION WITH WHICH THEY GAVE THEMSELVES TO THE SERVICE OF THEIR COUNTRY, LET IT NEVER BE SAID THAT THEIR SONS HAVE FORGOTTEN THEIR NOBLE EXAMPLE. 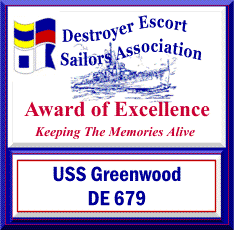 Copyright, USS Greenwood, DE679 Assn. 1999, 2000, 2001, 2002, 2003, 2004, 2005, 2006.